The flu is a very unpredictable and serious virus. It is not only serious, but it is also highly contagious. The virus can be spread by little drops of saliva that are expelled by an infected person when they cough or sneeze. Since the droplets are usually very tiny, people can unknowingly breathe them in and become ill with the flu. It can also be passed to others by physical contacts with objects and surfaces that have been touched by someone with the virus. Though many people throw the term ‘flu’ around loosely to describe minor colds and respiratory infections, influenza is definitely not just your common cold. Symptoms can come on without warning, and can be very unpleasant- to put it lightly. These symptoms can include: achy muscles, fever, headaches, chills, a cough and a runny nose. While these symptoms are irritating, and might even result in missing work or school, they are unfortunately not the worst thing that can happen if you catch the flu. The flu can also lead to serious complications that could land you in the hospital or even worse, result in death. The unpredictability of the flu makes it very important that you get vaccinated every year. Many people are curious as to why flu vaccines are different each year. Well, since the strains of influenza are changing each year, it only makes sense that the vaccinations change too. Flu viruses have evolved in such a way that makes it easier for them to escape the immune systems of their host. This is why it is so crucial to update the vaccine to provide maximum protection for you, your family, and the people in your community. Do you have a bleeding or blood clotting disorder or disease? Do you have any sort of neurologic disorder that affects your brain? Do you have a weakened immune system? Do you have a history of extreme allergic reactions to flu vaccination? Do you have a history of Guillain-Barre syndrome (that occurred after 6 weeks of getting a flu vaccination)? We hope this information has been helpful and informative to you, your family, and your community! It is important that instead of spreading the flu, we spread knowledge about this virus. 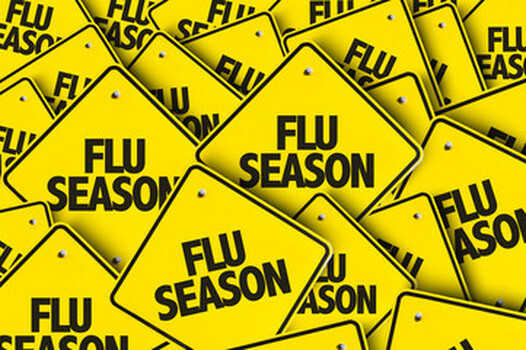 There are steps you can take that will lower your chances of catching the flu. If you are already sick, these preventative measures can also lower the chances that you will pass on the flu virus. You should avoiding very close contact with other people. It is so easy to pass germs through something as simple as a handshake with a colleague or a hug from a family member. All you have to do is tell the people around you that you are sick and don’t want to get them sick too. Be especially cautious during the winter months, since people spend more time indoors to stay out of the cold. The more people inside and close together makes it much more likely to pass on any germs or viruses. Another precaution to take is one that is going to sound ridiculously obvious, but it really is important. Make sure you are washing your hands frequently with warm, soapy water. There truly is no such thing as washing your hands too much during flu season. Door handles, phones, light switches, and elevator buttons may seem harmless. Just think about all the people who touched them before you did, what if they were sick? You are now risking getting sick yourself if you are touching these things and not washing your hands afterwards. Another way you can avoid passing on the flu is to cover your mouth when you cough or sneeze. When you cough and sneeze, saliva droplets can be almost undetectable to the naked eye. That means they can be floating around in the air, landing on other people, or resting on objects. Make sure you are frequently disinfecting objects and surfaces around your home or work place. Finally, if you are having flu symptoms and are able to, stay home. Keep sick children home from school.